Marvel has three new releases today. Jyn Erso continues her quest with Cassian Andor to help the Rebellion fight the Galactic Empire. The team has located Jyn’s father, Galen Erso – a Death Star scientist! 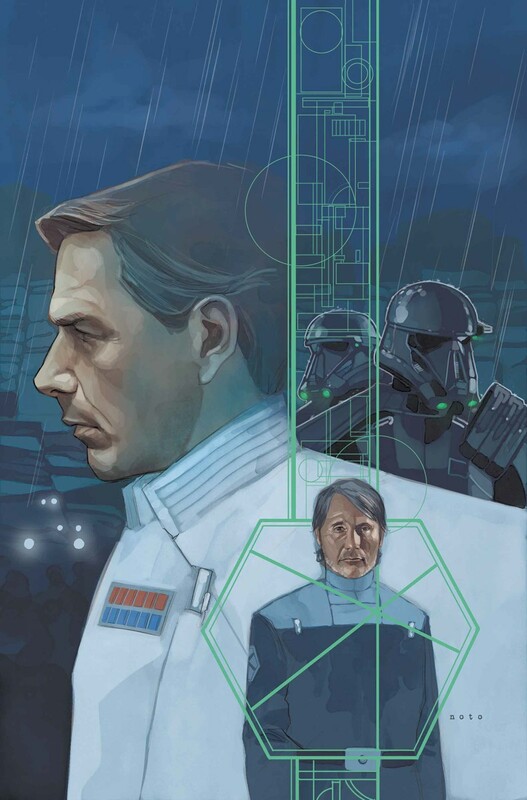 But the evil Director Krennic gets their first…and he’s out for blood! The Star Wars story continues! The most fearsome villain of all time returns with an all-new series! When Anakin Skywalker fell, both to the pull of the dark side and to the blade of Obi-Wan Kenobi, he rose back up, more machine than man. 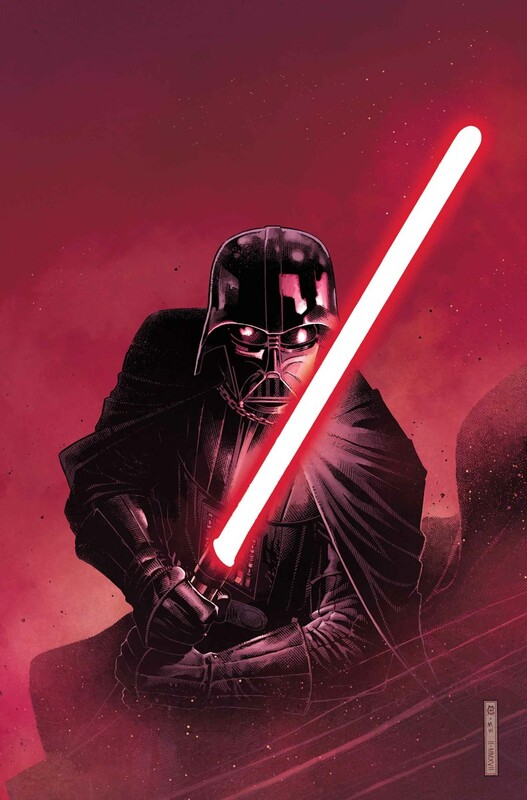 Having lost everything that was once dear to him, the former chosen one must take his first steps into a darker world…as Darth Vader, Dark Lord of the Sith! 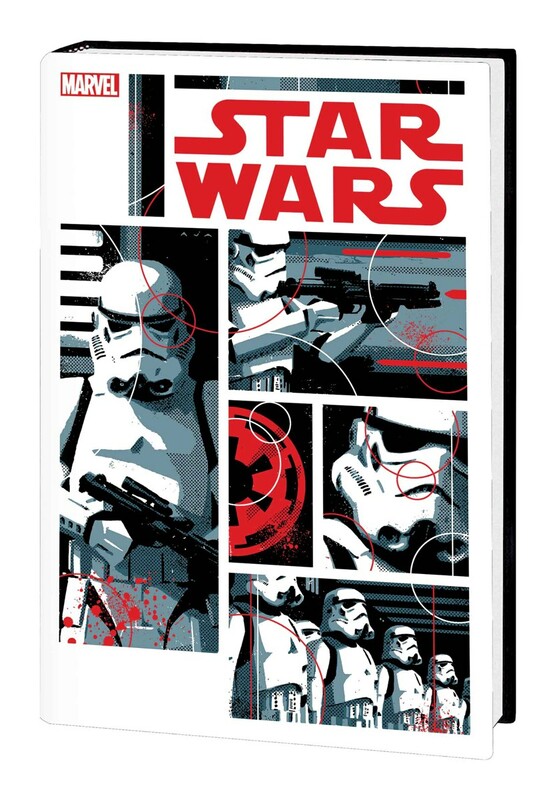 Join Vader as he learns a new way — the way of Darth Sidious and his newly formed Empire…the way of the dark side. The adventures of Luke Skywalker and friends continue! The rebel crew is en route to a prison base with an important captive. Unluckily for them, they aren’t the only ones with their eyes on this prize! Then, take a walk on the Dark Side with Sgt. Kreel and an elite group of Imperial soldiers aboard the Star Destroyer Harbinger! It’s a nigh-indestructible weapon of war — and it’s also the target of the rebels’ new top-secret plan. Never afraid of defying the odds, Luke, Han and Leia are determined to make this the Harbinge’s last flight. But Kreel and his SCAR Squad specialize in taking down rebels — hard! Plus: more entries from the journals of Obi-Wan Kenobi, including a showdown with the Wookiee bounty hunter Black Krrsantan! Collecting STAR WARS (2015) #15-25 and ANNUAL #1.